I have practised meditation most of my life in different ways, that is, with music, being guided, through breath work, counting backwards, releasing muscle tension, silence, open eye meditation etc. yet I have not done or not heard of until now, Didgeridoo Meditation. So I was very interested to learn more about this and relate my feelings to you. The first place I started was YouTube where I could listen to the Didgeridoo sound while closing my eyes and sitting comfortably concentrating on the music. I wanted to know how the music made me feel, how it resonated with the beat of my heart, if I could indeed become in sync with its sound which would allow my mind to release everyday thoughts so I could be at one with my sub-conscious. I was amazed at the immediate effect of relaxation I went into while listening to the music. Hard to explain but I felt like I was being drawn down with every sound basically the same way I would feel if I was counting backwards or using breath work. My heart was becoming calmer and my breathing slower. 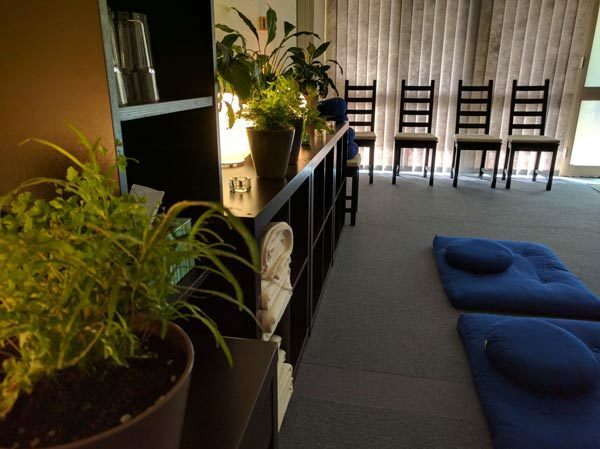 The Mindfulness Meditation Hub in Nedlands, Perth holds weekly classes of forty-five minutes in Didgeridoo Meditation. Each Wednesday night from 6.30pm, instructor Guillaume uses a mix of guided meditation and the sound of his didgeridoo to assist in your journey to locate a deep sense of relaxation, inner balance and harmony. The didgeridoo is played for five to ten minutes at the beginning and end of the guided meditation. The didgeridoo has a unique sound and a wide range of low-frequency sound waves which enables the listener to quickly develop a deep meditative brainwave state to the levels of theta and delta. At these levels, our highest healing potential for both physical and mental health is achieved. Guillaume volunteers to run these sessions and only asks for his attendees to pay what their heart feels. The contributions help pay for the rent and running expenses of the business. Free parking is available on the surrounding streets to the building in Hampden Road. No booking is required for your attendance and no previous meditation experience is a prerequisite. It is recommended that you wear comfortable clothing to assist in your relaxation. 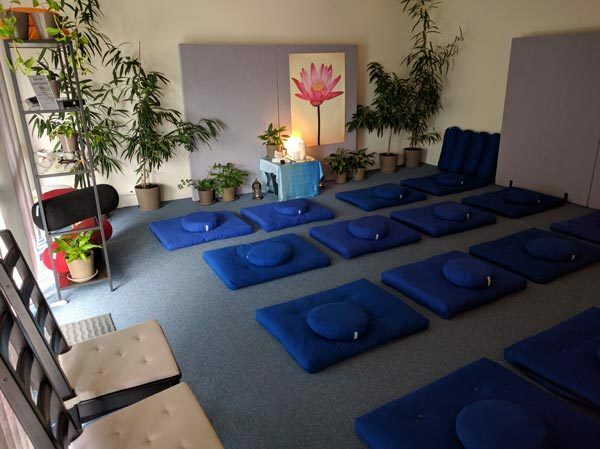 Mats, cushions, blankets, chairs and stools are provided for use or you can bring your own meditation props. Interesting article Susan, try Nawang Kechog's CD's, he blends didg and flute with melodic music to meditate by? He was a monk for years and did four years in retreat making his music very calming!